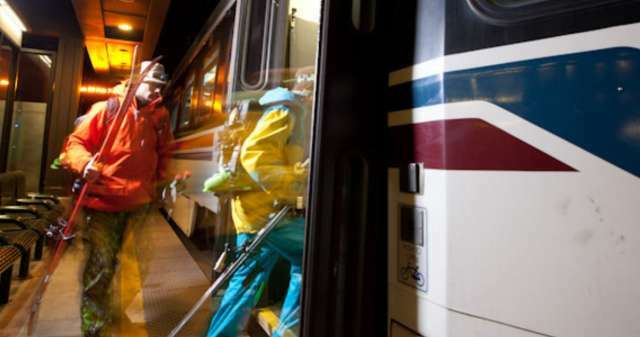 Here in Salt Lake, there&apos;s a variety of transportation options available, so arriving at your hotel, getting around town, and catching your flight is always quick and simple. 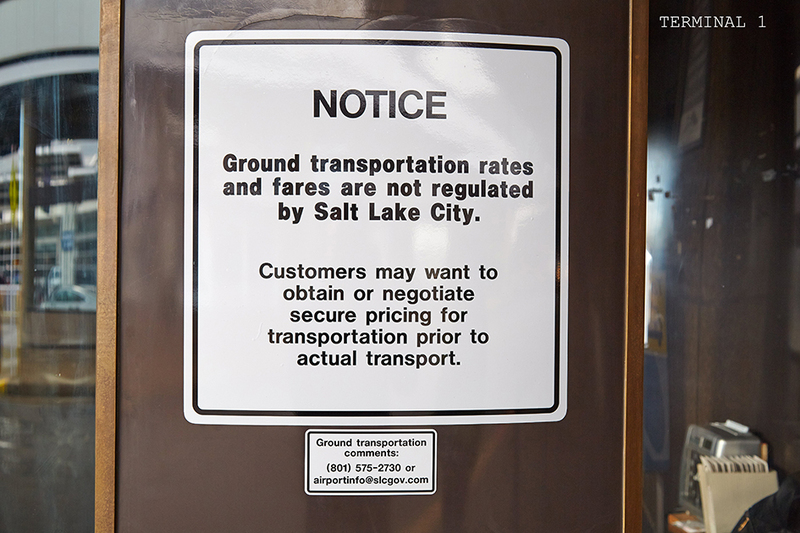 A Trax light-rail line runs directly from the airport to downtown Salt Lake, Uber and Lyft are both popular and widely available, and Salt Lake has three private taxicab companies and many private car and shuttle services. 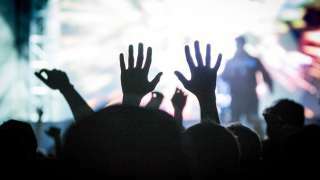 For this reason, it&apos;s a good idea to establish the rate with your driver prior to transport. It&apos;s an easy way to lock in your fare. 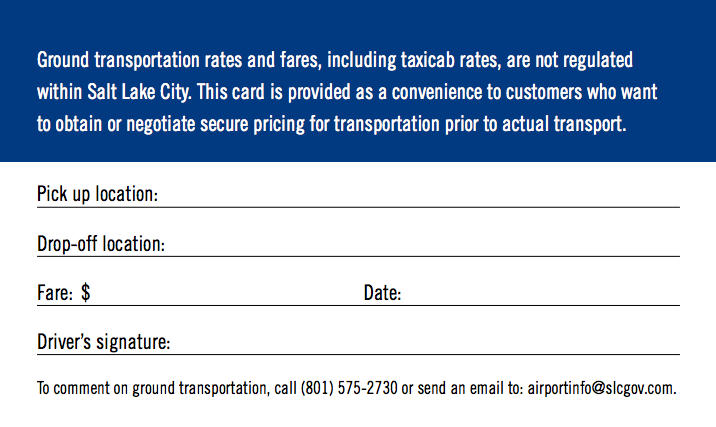 Just agree on a price with your driver, fill out the card below, and have your driver sign it before you head to your destination.